Our Virtual Gift Card allows you to share our delicious chocolates with whomever, whenever, wherever you wish. Simply add to the cart and designate the recipient using their email address - that it! 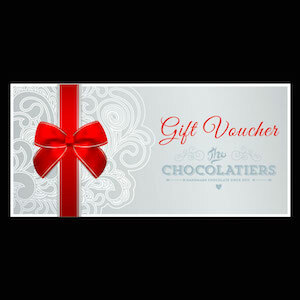 Please note that E-Gifts are redeemable online here at TheChocolatiers.co.za and cannot be redeemed in stores. Notify me when Gift voucher R150 E-Gifts is available.